Does your positive or negative spiritual beliefs affect your health? Brick Johnstone, professor of health psychology in the University of Missouri School of Health Professions, explains that what goes on in your mind may affect how your body feels. Johnstone recently returned from Oxford University, where he spent the summer studying the intersection of science and religion. Prior to his time at Oxford, Johnstone completed a nine-month fellowship at the Center of Theological Inquiry in Princeton, New Jersey, where he explored religious experience and moral identity. 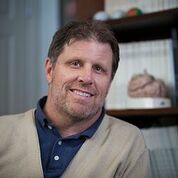 Johnstone recently served as a contributing expert for a Centers for Disease Control and Prevention report, “Traumatic Brain Injury in the United States: Epidemiology and Rehabilitation,” which was presented to Congress. Individuals who blame karma or a higher power for their poor health have more pain and worse physical and mental health; that’s according to a new study my colleagues and I conducted. We studied nearly 200 individuals to find out how their spiritual beliefs affected their health outcomes. Participants had a range of health conditions, such as cancer, traumatic brain injury or chronic pain, and others were healthy. We divided the individuals into two groups: a negative spirituality group that consisted of individuals who felt abandoned or punished by a higher power, and a no negative spirituality group that consisted of people who didn’t feel abandoned or punished by a higher power. We asked the participants questions about their emotional and physical health. Those in the negative spirituality group reported significantly worse pain and worse physical and mental health. Those in the positive spirituality group reported better mental health. In general, the more religious or spiritual you are, the healthier you are, which makes sense. But for some individuals who have even the smallest degree of negative spirituality and believe they’re ill because God is punishing them for something they’ve done wrong – their health is worse. Previous research has shown that about 10 percent of people have negative spiritual beliefs; for example, believing that if they don’t do something right, God won’t love them. However, when people firmly believe God loves and forgives them despite of their shortcomings, they have significantly better mental health. Individuals with negative spiritual beliefs also reported participating in religious practices less frequently and having lower levels of positive spirituality and forgiveness. This research suggests targeted interventions to counteract negative spiritual beliefs could help some individuals decrease pain and improve their overall health.